There are plenty of walking events that are easy to join, check out the 70 events in our October event calendar. Most Adelaidians are familiar with the Waterfall Gully track to Mt Lofty Summit but did you know there are at least 9 other routes that can get you to the top? Come and join one of our hosted walks and discover some of the lesser known trails exploring Cleland Conservation Park and the trails beyond. There are walk options to suit everybody. If you’re after a serious climb along forest trails to get your heart pumping, a gentle ramble to take in the scenery or something in between then we have a walk for you. Check out the options and choose from various lengths, terrain and starting points. All walks will start at 8am and will be led by one of our member clubs so you don’t even need to read a map! Registration is free. Once you’re at the top, you can refresh yourself at the Summit Cafe and stroll among the stall holders in the summit courtyard. So whether it’s a new route or an old favourite, register for one of the Trails Less Travelled and we’ll see you at the summit! Walking SA continues to work on developing the Adelaide100 initiated by Board member Jim Mclean. Having conducted a wide range of initial consultation, a small group walking the trail to learn first hand and as we continue to refine the concept we are now into a business planning mode to determine how we can garner further support to make this project happen. As we have used the principle of using existing well maintained trails for the Adelaide100 we believe that the additional cost of creating the trail will be relatively modest, and in particular when compared to what it would be if we were creating it from scratch. We are grateful for the ongoing support we are receiving across the Board for this project through our member clubs and organisations, local government, state government and a wide range of community groups that we are engaging with. In particular we acknowledge the financial contribution made by the Friends of the Heysen Trail and Skyline Walkers which will greatly assist us getting work done on the ground. In recent months we’ve listed 26 new walks in our Find a Place to Walk directory. Last week we also listed 110 new historical walks, a great way to explore some of the rich history in our suburbs and country towns. Over the last eighteen months the directory has expanded to over 300 walks and trails around the state, so there are plenty of places to explore for walking. 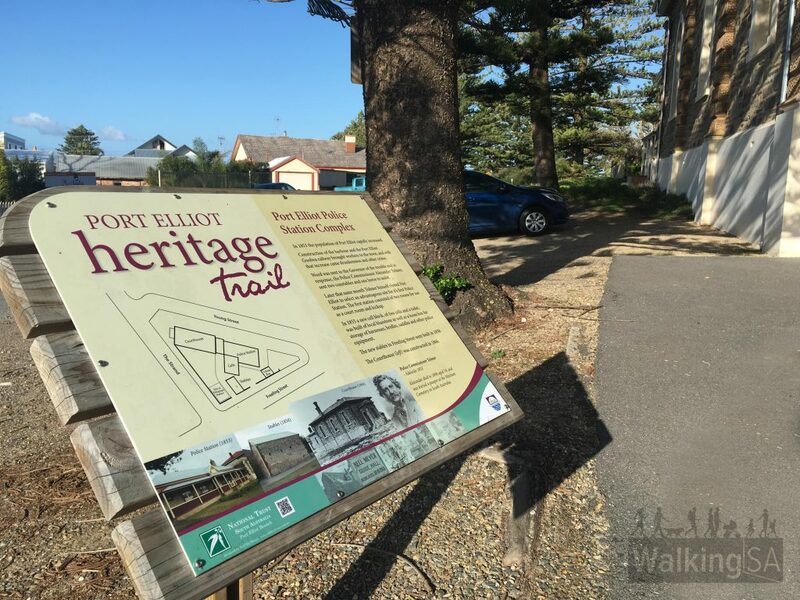 To explore the historical walks, visit the Find a Place to Walk directory and select the Historical Walks checkbox. It has two funding rounds per year: facility requests and program and equipment (Round 41) and program and equipment requests only (Round 42). Applications close 10th October 2016. Bushwalking Australia has been advised of the establishment of a national project to develop a set of Australian Adventure Activity Standards (AAAS) to replace the existing state-based Adventure Activity Standards (AAS). Bushwalking Australia’s policy is that the proposed National Bushwalking AAAS must specifically exclude applicability to non-commercial users such as volunteer-run recreational groups including bushwalking clubs and groups of private individuals undertaking recreational adventure activities. Bushwalking Australia hold their annual conference in November and Walking SA will be attending representing the South Australian bushwalking community. If you have matters you would like us to raise please contact the office. 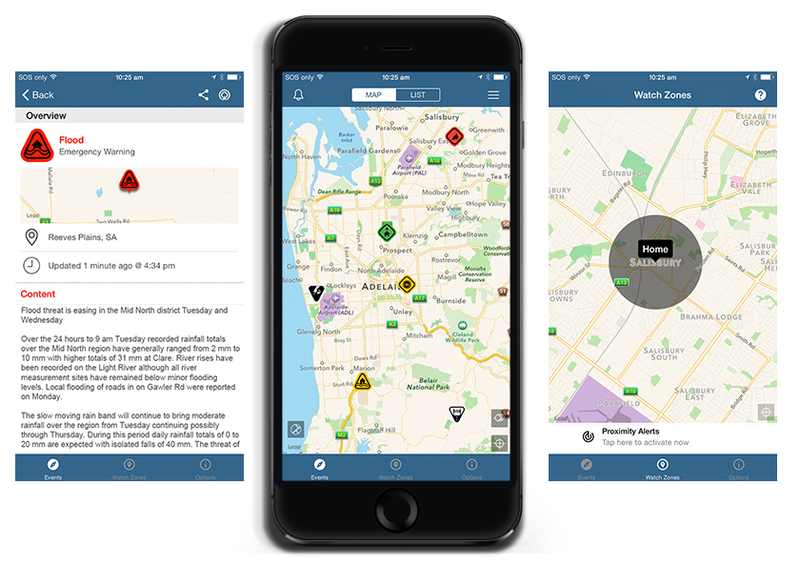 With warmer weather on the way, hikers and residents will find the Alert SA smartphone app and website a good resource to access timely, relevant and personalised event and warning information. The website and smartphone app is provided by the Government of SA, and collects and display data from agencies including: Country Fire Service (CFS); Metropolitan Fire Service; State Emergency Service; SA Police; SA Health; Department for Education and Child Development (DECD); Primary Industries and Regions SA (PIRSA); Department of Transport Planning and Infrastructure (DPTI); Department of Environment Water and Natural Resources (DEWNR); Bureau of Meteorology (The Bureau); Environment Protection Authority; SA Power Networks; SA Water; Department for Community and Social Inclusion – State Recovery. The information obtained from these sources provides event summaries and warnings to keep you up to date and help you make informed decisions about your safety. Alert SA aims to provide you with the most comprehensive view of event and warning information in South Australia. Further data sources may be added as they become available over time. 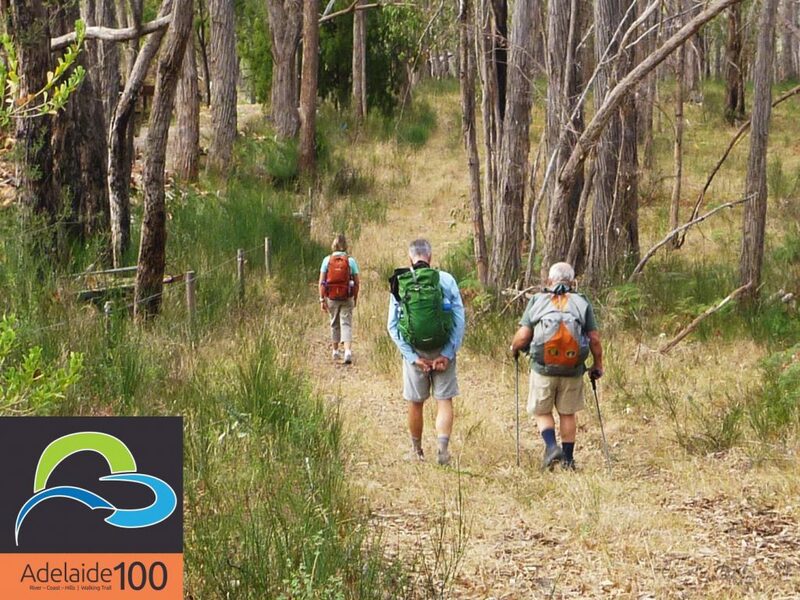 Our Executive Officer Greg Boundy recently completed the 1,200 kilometre Heysen Trail. 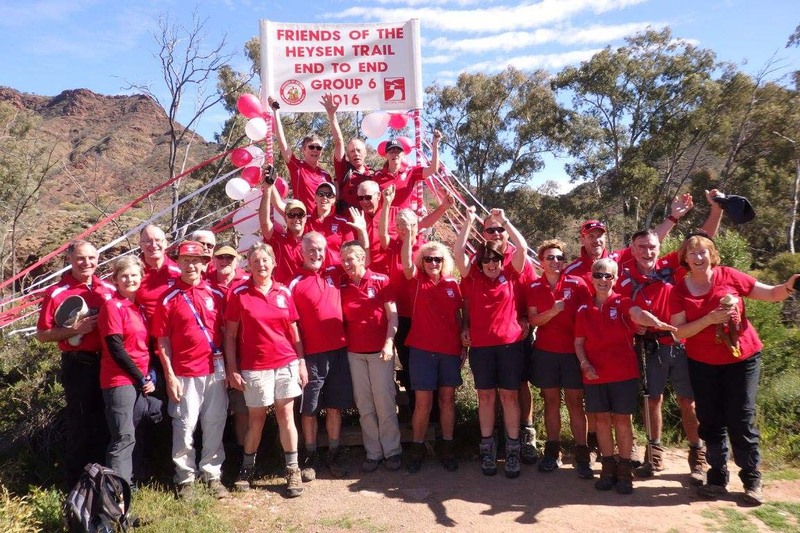 “Together with my wife Valerie we commenced walking the Heysen Trail in an organised ground with the Friends of the Heysen Trail “End-to-End 6 Group”. As a somewhat reluctant walker and not being particularly fit the walking of the trail has been quite transformational in me now being a very motivated walker, and much fitter, as well as a range of other significant benefits. These include enjoying the environment on the trails, some truly exceptional parts of South Australia, establishing a delightful new group of friends as well as appreciating my love of photography. We have been granted a VOAN (Volunteer Organisation Authorisation Number) which enables applications for police checks to be made without cost for individuals within our member clubs. If you need to have checks done please contact the office and we will provide the details of the process as supplied by SA Police. 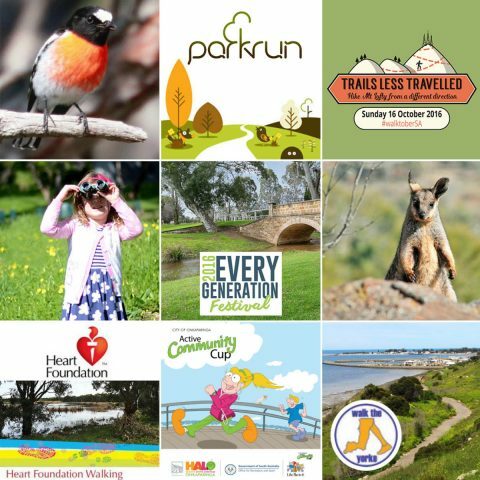 We are publicly recognising the many volunteers and others who have contributed to South Australia’s great walking trails, walking clubs, and walking promotion and opportunities for health, wellbeing, recreation and tourism. A brief annual general meeting. A detailed agenda will be made available prior to the evening. The Forum is an opportunity for our member walking club representatives to engage in an ongoing discussion with the Board regarding the future plans of Walking SA. This will be an interactive update on the development of Walking SA, future plans and directions including the development of an updated Strategic Plan for 2017. This is our major project and an update will be provided on progress. Walking SA is keen to establish a stronger voice for the all the walking interests by collaborating with all member clubs and organisations as well as the wider walking community. An opportunity to share issues and activities of your clubs and organisations with the Board and all attendees. Bus Stop 4 Goodwood Rd.